Hassle-Free Usage: The newly added automatic unoccupied-frequency search feature eliminates the need of searching for vacant channels manually. 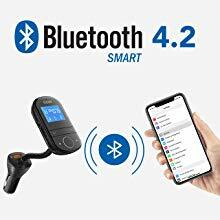 Upgraded to Bluetooth 4.2: Enjoy crystal-clear music quality and phone calls delivered over the stable wireless connection. 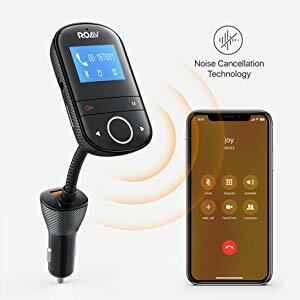 Hear Only What You Want: Noise-cancellation technology eliminates road and wind-noise so only the important audio gets through in your phone calls. 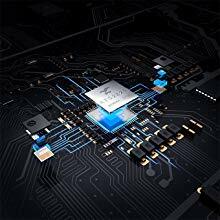 Quick Charge 3.0: Advanced technology provides high speed charging for your device. 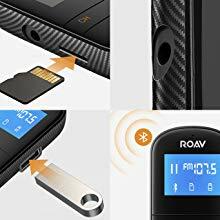 Never Forget Where You Parked: The Roav Charger app records your car's location by setting a pin in the map the instant Bluetooth connection is lost. Make crystal-clear calls with both your hands on the wheel for a safer drive. 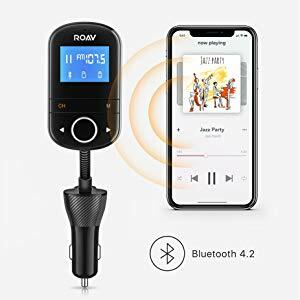 Connect via Bluetooth to play your songs over an FM frequency. Charges up to 4x faster for compatible devices. Completely backwards compatible with all versions of Quick Charge. 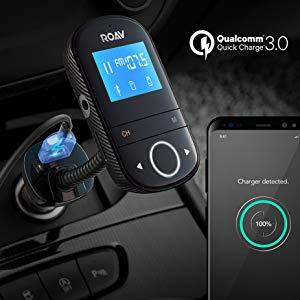 Get a strong, stable connection for your music or hands-free calling. Noise reduction and echo cancellation technology ensure clearer calls. 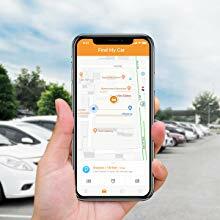 Multiple location methods help ensure you don’t waste time looking for your car. 4 audio input methods give you the power to play your favorite tunes with zero hassles.